EXO Planet #4: The EℓyXiOn on the 3rd of March, 2018. 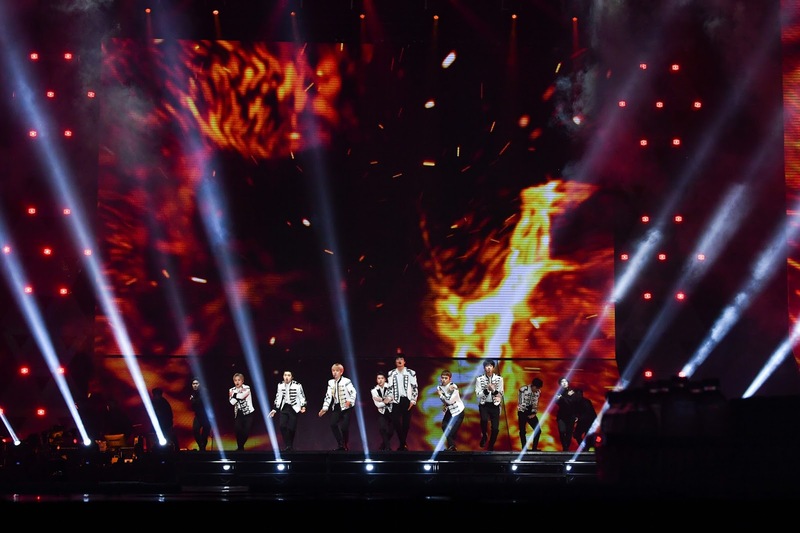 In anticipation of the group’s arrival at 4pm on the Saturday evening, the Singapore Indoor stadium was illuminated by the excited 8,000 strong crowd and their white official lightsticks. The group kickstarted their concert with “The Eve”, a melodic yet also powerful R&B track that hyped up the audience. After that, they followed up with "Forever" as well as chart-topping songs "Ko Ko Bop" and "Growl". The concert featured impressive lighting works that amplified the ambiance of their performance. that featured their own faces. struggles in pursuing his dreams. During the second half of their three hour-long performance, they performed along the extended stage with "Cloud 9", "What U Do", "Tender Love", and "Walk On Memories" in order to get a closer interaction with the fans seated further away from the stage. thanking and bidding farewell to their fans. We would like to thank One Production and Rock Records for extending the invitation to GOkpop.